A very cool new series that was highly recommended to me by a good friend. I am half way through the series, after having to track it down on DVD release here in Canada. What a great view this has been so far, and having been a youth at the time this series is set I well remember the political climate of tension and fear that pervaded the western world, as well as ,of course, the music.The series uses source 80s new wave tunes to great effect. 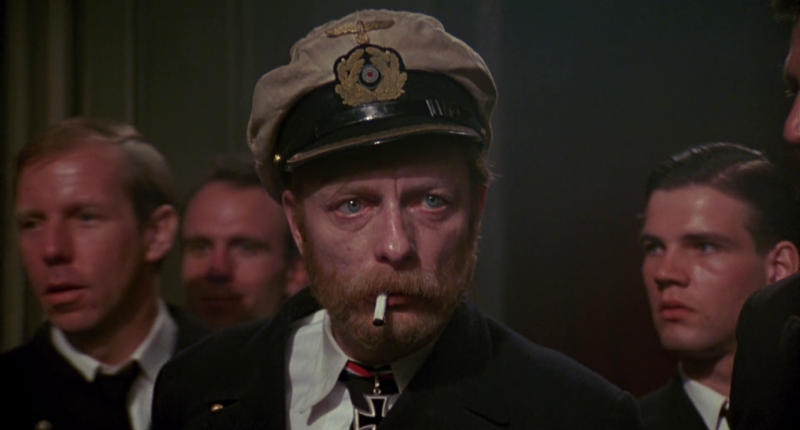 The theme song for the English language version is Peter Schillings 80s track Major Tom, but for the German series Blue Monday by New Order was used. The show also has a very effective score from composer Reinhold Heil. He was one of the leading touring keyboard players in Germany in the 80s and wrote and played with the Nina Hagen Band as well as producing the 80s mega hit by Nena : 99 Luftballons. Recently he has been concentrating more on scoring for film and television, starting out collaborating with Tom Twyker (Run Lola Run),and last year scored the TV Series: Berlin Station. Deutschland 83 had mediocre ratings in Germany but did well in the U.K and the USA ; resulting in a renewal (and retitled “Deutschland 86”). Hopefully this will be followed by a third season, Deutschland 89, which would be set in the pivotal year of 1989, when the Berlin Wall fell. Deutschland 83 has received a number of international and domestic awards including an International Emmy Award, a Peabody Award, Grimme Prize,The Golden Nymp, a Metropolis Award, two C21 Drama Award, a Golden Camera, the “Special Jury Award” of the Roma Fiction Fest,and Series Mania 2015 for Best World Series. “The Greasy Strangler” is a 2016 American black comedy horror film directed by Jim Hosking and written by Jim Hosking and Toby Harvard. The film stars Michael St. Michaels, Sky Elobar, Elizabeth De Razzo, Gil Gex, Abdoulaye NGom, and Holland MacFallister. The Greasy Strangler premiered at the 2016 Sundance Film Festival on January 22, 2016.The film was released on October 7, 2016, by FilmRise. I was in attendance at the 2016 Fantasia Film Festival where this film was playing but couldn’t squeeze a screening in. And to be honest I was a bit sceptical of giving it a view. Recently however I came across the rather strange but cool score for the film by Andrew Hung,and as a result found the film available on ITunes. So this time I gave the film a whirl, and quite enjoyed this gross out black comedy, but would say it definitely would not be to everyone’s taste:) I will say that the title aptly described the film in all its quirky, random ,and black moments. I had quite a few laughs at the jokes and at the unbelievable strange occurrences that take place. “Pandora-(Hangul: 판도라; RR: Pandora) is a 2016 South Korean disaster film written and directed by Park Jung-woo, starring Kim Nam-Gil. The film was released in South Korea on December 7, 2016. Directed by Park Jung-woo this is a excellent and heart-string tugging Korean disaster flick. Park-woo is a successful screenwriter turned film director whose previous films include another disaster epidemic flick called: Deranged. This time around the director starts off with a slow-burn story about the extended family of 30 something power plant worker,who is disgruntled with his job and longs to leave his small company-town far behind. As well the bureaucracy of the political and industrial machinery that runs the nuclear power industry in modern day Korea, is well illustrated , and helps make this a well rounded message film as well as an entertaining and heartbreaking action movie. This was the first Korean film to be pre-sold to Netflix and it is now streaming in 190 countries via the service. One of numerous well executed films to come out of Korea, and to ride the wave of what could be described as a modern day renaissance of Asian cinema. Director Agnieszka Smoczynska called the film a “coming-of-age story”, with echoes her own youth. The 80s Cabernet style Communist era club is similar to one her mother ran when she was a youth and where she entered teenage years. But this is more than just an auto biographical reminiscence. And again, I missed this at both Berlinale and Fantasia in 2016 so I had to wait for a local screening recently to check this film out. It’s a real genre bending, fantastical movie that reaches for it all, and maybe reaches a little too far to retain its focus. But it’s one of the most inventive films I have seen in a long time, a 80s,Polish, mermaid,cannibal,musical. Quite the concept, and the music has a definite 80s feel, with some campy versions of popular Polish hits from the era adapted by the group(who also appear in the film) Ballady I Romanse. “The director also wanted the film to be a retelling of The Little Mermaid by Hans Christian Andersen, and developed her idea of mermaids from tales of the 14th–16th century that described them as the sisters of dragons, and hence made them part monstrous. She invented their need to feed on human hearts and that propensity to attack the larynx of their victims. The film played to mixed reviews in Poland, although it did win Best Debut Picture at the Gdynia Film Festival; and was generally well received by festivals and critics worldwide.